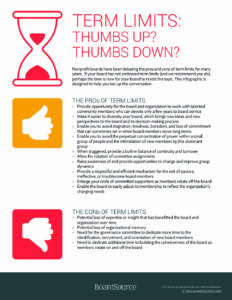 Nonprofit Board Term Limits: Thumbs Up? Thumbs Down? Term Limits: Thumbs Up? Thumbs Down?